Living in a technological era, we are constantly evolving and discovering new ideas and innovations. While we are clearly progressing in a technological standpoint, much of the world is struggling to catch up. As we move forward, so do prices in just about every market including real estate. Price value for land and homes are reaching new highs while many consumers strive to make ends meet as it is. Other factors including health problems, war, and weather destruction, to name a few, are causing people to find new homes. The WikiHouse aims to try and help those in need of a new, affordable, and sustainable home through open access where designers can unite through the internet and share ideas in order to help shelter those who have no home. This project raises many questions including who will mostly be affected and how will it mold future societies. Although many countries can benefit from the WikiHouse project, not all will have the same outcome. I want to find out which countries will have a higher success rate in reducing the homeless person count by implementing the project. There are many key factors that will contribute to this analysis. Politics – Although the Wikihouse is easy to build and hardly requires permits, every country might not be flexible. Homeless Count – All countries have varying homeless count. High homeless count does not guarantee high success rate. There might be too much demand and not enough supply. Materials – What materials are available? The Wikihouse largely depends on wood but might be flexible to other materials as well. Fab Labs – Is the equipment needed readily available in certain locations? Can they be implemented in certain areas? Workers – How many workers are available and willing? Training – Are the workers able and willing to learn 3D modeling skills? Natural Environment – What kind of setting will the house be applied to? Will it be able to be modified for certain locations? Disasters – The Wikihouse is fairly easy to build as well as to take apart. 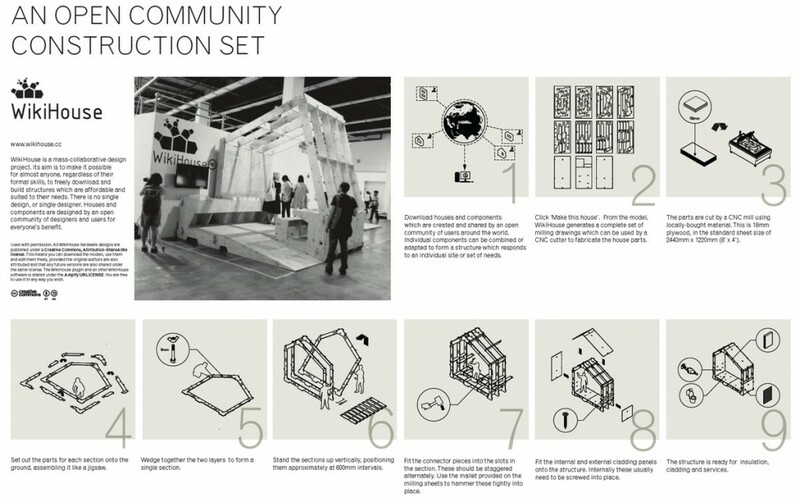 Will common natural disasters factor into regions where the WikiHouse will be implemented? Outcome – Based on the information gathered I believe I will be able to determine what areas would benefit most from this project and also give me a clear idea where we are headed with open sourced 3D design.